Lumi is a practical and ecological kit that is revolutionising the raclette experience... 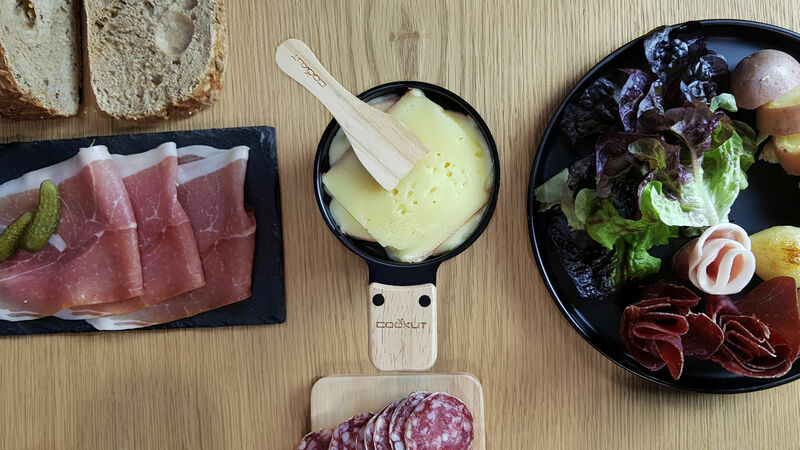 Surprise your guests by organising a raclette evening by candlelight! 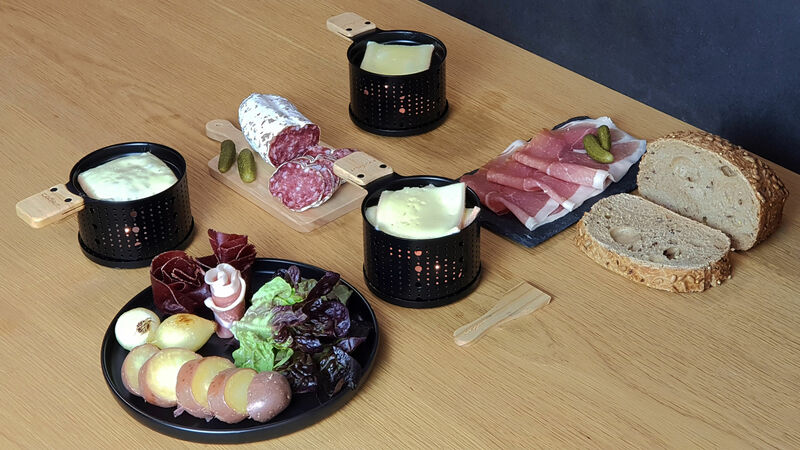 With LUMI, melt your cheese in precisely three minutes with two candles. This very practical utensil allows everyone to have their personal device to hand and to stop when they want. Forget the cumbersome machine in the middle of the table, its electric cable and how unlucky you feel when sitting in the wrong place... 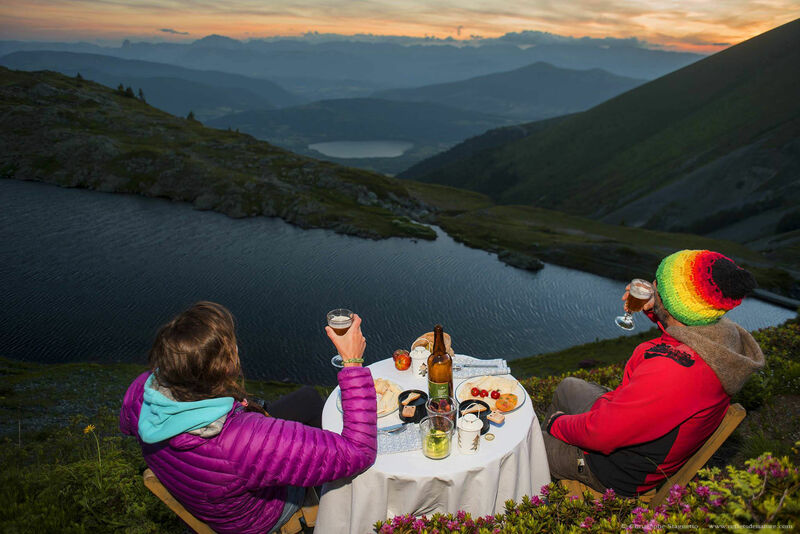 Forget those overheated, smoky rooms at the end of the meal. 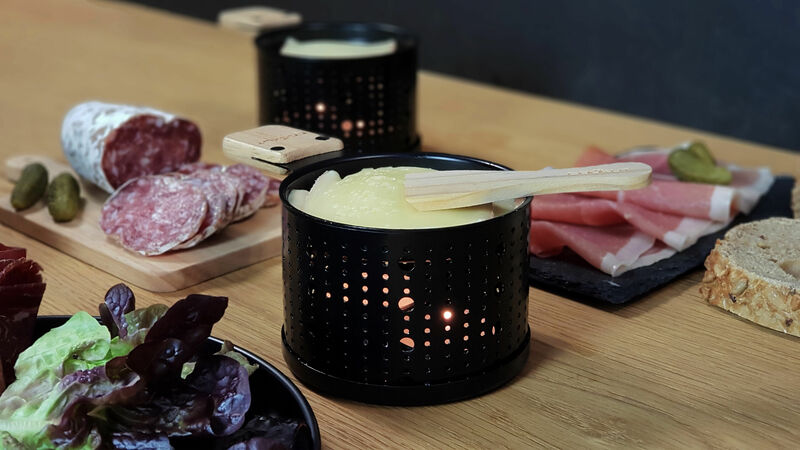 The Lumi raclette cheese set, which works using tealights, is just as efficient as an electric appliance: the cheese melts in just 3 minutes (exactly the same cooking time as with an electric appliance). 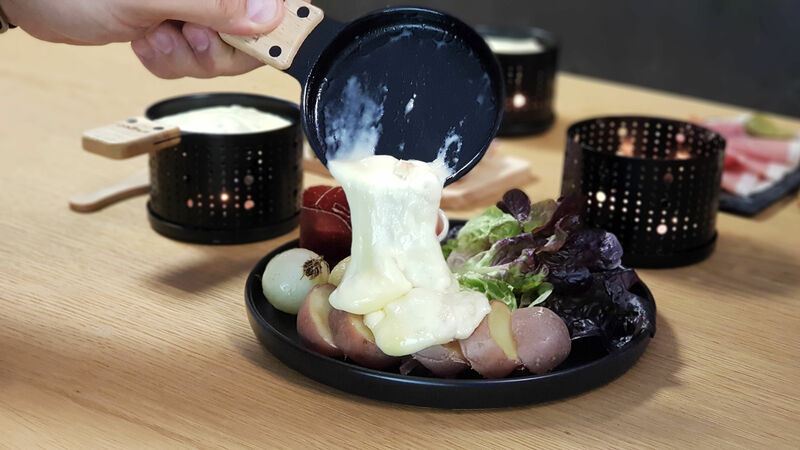 This raclette is upending conventions with its elegant style: what a way to tastefully decorate your table! 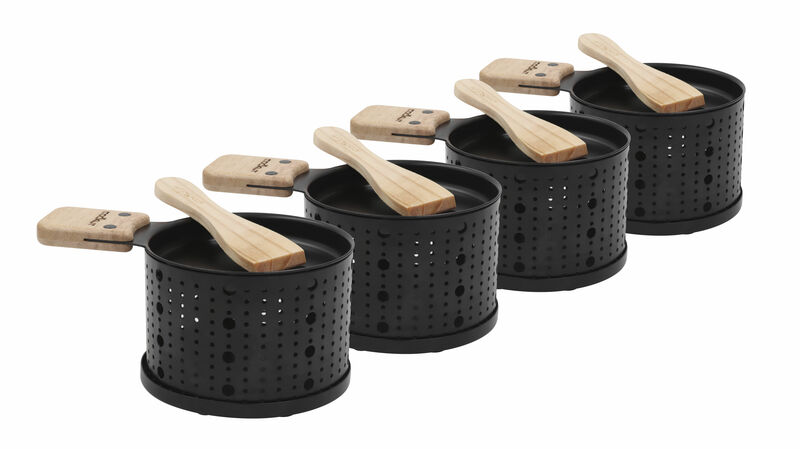 This raclette by candlelight kit for 12 people includes: 12 wooden spatulas and 12 individual metal fondue pots with a wooden base in which you place two standard tealight candles (candles not included). 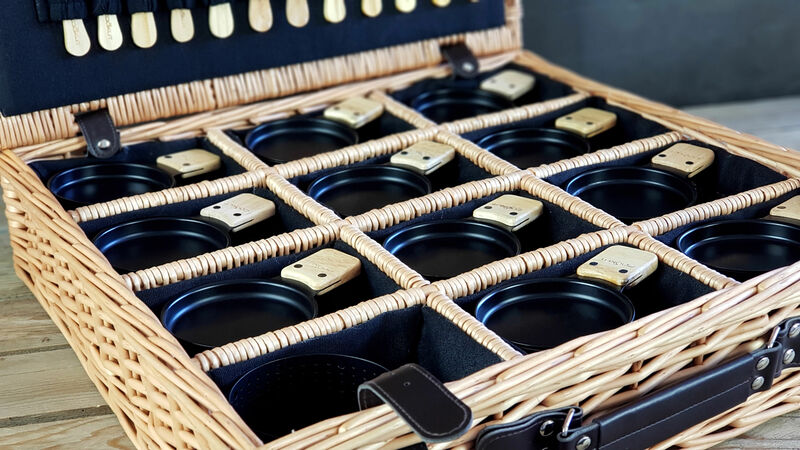 It all comes in a wonderful wicker storage basket. Because each kit is individual, the guests have their heating point to hand. Everyone stops when they want, independently of the others. 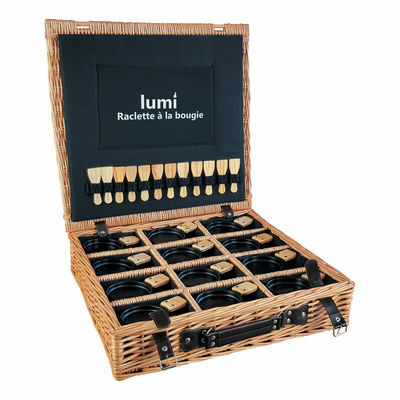 And because Lumi requires no electricity, it is portable, ideal for enjoying a raclette cheese supper when camping, on a picnic or in front of the telly!